Post Demonetisation Budget – What is in store? Everyone knows there would be some tax sops and serious concessions are in the offing. Right or wrong demonetisation and the next six months to come has become an all or nothing game for BJP. Assuming GST gets implemented before September, 2017 deadline. what would be the tax structure? A guess work. 1) Banking Transaction Tax – This is circulating in social media. The proposition is 2% tax on all credits to bank accounts and no other tax. This is attributed to an NGO by name Arthakranti from Pune. Social Media loves it and a few sections of media support it. There are lot of people who believe this can happen on 1st February, 2017. However romantic it sounds, we seriously doubt the implementation. There are a few strong reasons why this cannot be rolled out in 2017. BTT presupposes that no tax other than BTT can be levied. At the very least we need absolutely seamless implementation of GST and roll back of all other indirect taxes (other than customs duty) for BTT to be considered. We are far from it. Multiple disruption is not possible. Why should someone earning below the threshold limit of income tax pay BTT? This amounts to charging taxes to the lowest rungs of the society which is otherwise exempt, simultaneously subsidising the super rich. This is not equity. One may say, prices will come down 10-50% depending on products and even the lower strata will be benefited. Proof of the pudding is in eating. Has the bank lending rates come down because of the successive reduction in rates by RBI? Unless clarity emerges, it may be politically dangerous for the ruling party. What about FMCG distributors who have meager margins? Petrol or ITC distributor may have to shell out more than 50% of their gross revenue as taxes. These businesses will slip into losses. What about Escrow mechanism? Same transaction will be taxed twice. Let’s say A sells his company to B. Escrow receives money from B, receives shares from A and transfers both money and shares subject to conditions in the agreement between A, B and the Escrow agent. In this case, escrow agent is taxed twice. Same goes for multiple transactions within family while moving same income from one bank account to another. Just like GST, introduction of BTT requires consensus of states since it curtails the power of states to collect taxes. Discussions have not even commenced. 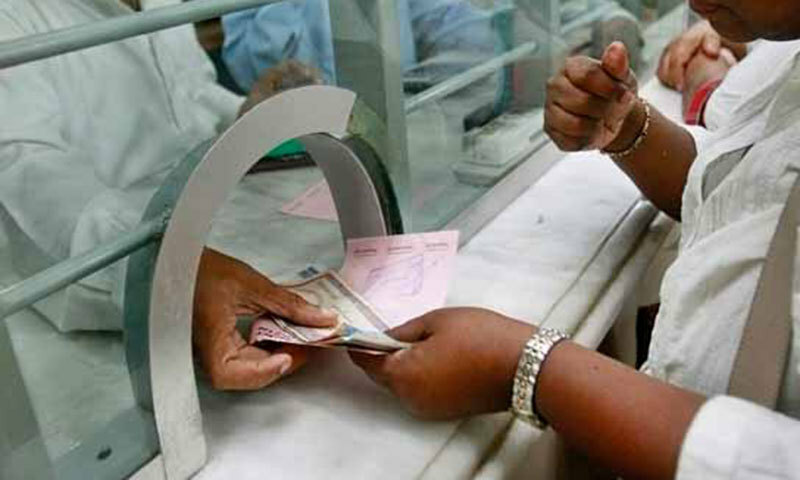 In the present scenario, traders may be inclined to hold cash without depositing and this will lead to cash crisis. This is a paradigm shift and highly disruptive. Country is not ready. BTT may sound very attractive. But, it may not happen in the current budget. 3) Personal Income Tax – There is widespread expectation that there would be huge increase in basic exemption level. There is expectation that level of threshold for taxable income would be raised to Rs.10,00,000/- from Rs.2,50,000/-. Though there is a likely hood of a concession, such a sharp increase is quite unlikely. Government wants more tax payers to the net, no lesser number of assesses than what we have today. So, threshold limit for taxable income is not likely to go up. Presently we have 3 slabs.Rs.2,50,000-Rs.5,00,000 @ 10%, Rs.5,00,001-Rs.10,00,000 @ 20% and Rs.10,00,000+ @30 plus education and higher education cess at 3% of the tax calculated. This may become four slabs. Rs.2,50,000-Rs.5,00,000 @ 10%, Rs.5,00,001-Rs.10,00,000 @ 15%, Rs.10,00,001-Rs.15,00,000/- @ 2o% and Rs.15,00,001+ @ 25% plus, of course education cess. 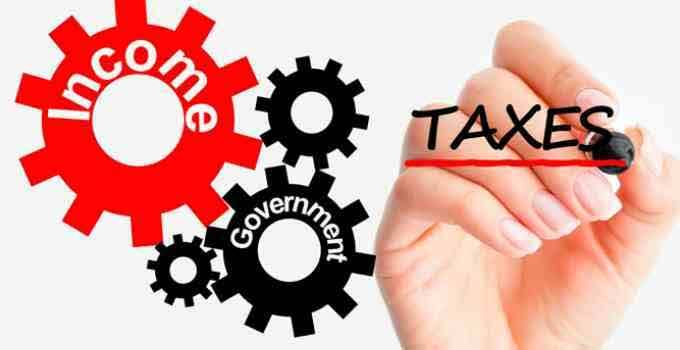 Someone who has a taxable income of Rs.1,00,000/- per month will pay a tax of Rs.12,016 as against Rs.15879 presently. This is not likely to satisfy salaried class, though. In the present scenario, Government would want us to spend the money and hence, there is no likelihood of revision in savings oriented incentives. 4) Short Term Capital Gains Tax (STCG) or Securities Transaction Tax (STT) – Presently STCG on sale of any asset is treated as any other income, except for STCG on shares, mutual funds and other securities listed on stock exchanges which is taxed at 15% where as maximum marginal rate of tax is 30% Long term capital gain on sale of listed securities and shares does not attract any tax. It is pertinent to note that any asset that is held for more than three years is termed as long term asset except for listed shares and securities which is only for one year. To off set these concessions STT was introduced. Cash based trading attracts 0.10% tax and 0.01% for Futures and Options. Recently PM Modi stated that those who earn from stock market would have to pay more tax. This gave raise to the speculation that LTCG on specified securities will be taxed and STCG would go up. FM Arun Jaitley clarified that security trade will not be subjected to LTCG. Now media is rife with speculation that STCG will be increased. We do not think, it will give desired results. There are a few issues with FIIs and FPIs too. Revised DTAA with Mauritius and Singapore may put spokes in works of Foreign Investors into capital markets. So, virtually increasing the present rate five folds to 0.05% for F&O and 0.50% for Cash sections will result in a tax collection of Rs.35,000 Crores from the present levels of Rs.7,000 Crores. Even doubling this to 0.10% and 1% is possible. There will be hue and cry in Dalal street, but markets will come round. FII invest if they believe in the country’s story and if they think, they will get their bench mark returns. India is, as Nani Palkhivala said, democracy plus fifteen percent. Hence we think, STT will be steeply raised while removing STCG on listed shares and securities. What’s more, it is one of the taxes collected by the Government with no tax administration headache since exchanges and mutual funds pay to the Govt directly and the Govt need not go to individual assessees. STT is here to stay and prosper. 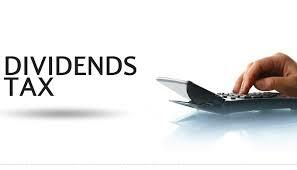 5) Dividend Distribution Tax – Corporates pay Dividend Declaration Tax while dividend in the hands of individuals and other entities is tax free. It is immoral to collect taxes from “B” for the taxes due from “A”. But, the individual assessees are happy because they don’t pay taxes for the dividend they receive on their investment. Government is happy because it has to only scrutinise the DDT calculation if a corporate declares dividend. DDT is here to stay and we do not expect any change in tax rates. 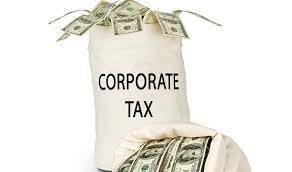 If due to possible reduction in Corporate Tax trate, more dividend is distributed, DDT can go up for the Government. 6) Taxing Agriculture – This is easier said than done. Agricultural income is totally tax free. Even capital gains on sale of agricultural land and assets is tax exempted. There are scores of research articles that think agricultural income needs to be taxed. There is substance to it. There is justification in exempting small farmers due to capricious nature of weather and its impact in agriculture. However, what is the justice in exempting an agriculture corporate that earns Rs.100+ crores in profits? Income tax department has given a memorandum to tax income from agriculture on assessees who hold more than 30 acres in land. Agricultural income is also being used as a tool for tax evasion. FM Jaitley recently said that unreasonable amount of income is being reported as agricultural income from farm houses and that these farm houses cannot provide the income that is being returned. So, there is definitely a thinking in that direction. This is a good beginning. But, taxing agriculture in a cash economy is quite difficult. Cost of seed, cost of labour, manure and fertilisers, hiring of equipment… there is lot of scope to camouflage agricultural income. Taxing it properly requires lot of thought. As first stage, passing income from other sources as farm income should be curbed. This can be done at IT scrutiny level and does not require changes in tax laws. At best, Commodity Transaction Tax (CTT) can be introduced at nominal levels in commodity exchanges. We doubt, though. This is an election year with multiple state elections. States also can tax agricultural income. None of the states going to elections would do anything in that direction. Ruling party in centre is not likely to take chances on a vexed issue. Despite the strong reasons for taxing agricultural income, we will be very surprised if some action is taken in 2017 budget to be announced on 1st Feb, 2017. It would be an appreciable move, though. These are some of our thoughts. We will come to know on the budget day. 1. Transfers between your own accounts may not be taxed, ie. between your current accounts. In that case, from your brokerage account to current account, would that be taxed?? Joint accounts to your account?? 2. In the US, bank deposits are done by checks, ACH (something like NEFT), Wire Transfers (includes SWIFT transfers), Cash deposits and Same branch/bank a/c to a/c transfer. Between ACH and Wire Transfers, ACH transfers (No. of transactions) seems to be used more. SWIFT is more used for Trade transactions, domestic wire transfers for 2 hours receipt or international wire transfers. Under ACH, we can define the transfer as payroll transfer. It gets notified to the receiving bank as payroll transfer. I don’t know, whether NEFT, RTGS, IMPS or UPI has classification of transfer. 3. If the recipient receives money from a third party and if it can be classified as a transaction type, like INCOME or OTHERS, with varying tax % in the 0.5% ranges, that may be closer to reality. The sender can categorize the “INCOME Transfers” as expenses for tax write-off. As regard to taxing agriculture income, your suggestion of 30 acre plus shall bring less than 1% of farmers into tax net initially and all the holders shall distribute within family and start avoiding as always. 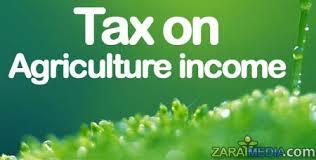 My suggestion is a farmer ahould be taxed if his farm earnings is much more than what is practically possible.. There are instances where 30 acres of grape garden fetched 300 crores. Including expenses even a hitech farmer cannot make more than ten lacs per acre.